The chapel “Affhüppenkapelle” was built in 1856 in the village Vohren in a neo-gothic style and is located at the outskirts of the city. 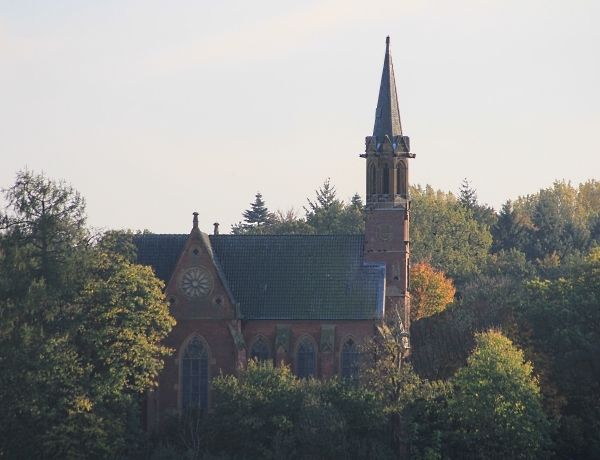 The architect was the diocesan master builder Emil von Manger from Münster, who equipped the chapel with red bricks and sandstone on an ashlar socle. The chapel is dedicated to John the Baptist and its origins go back to the 14th century. Today the chapel serves as storage for sacral items and thus only the exterior can be visited. 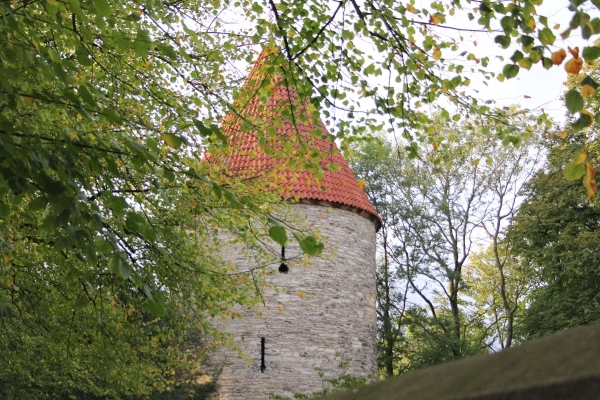 The tower “Bentheimer Turm” is the last remaining part of the fortress wall around Warendorf from the 13th century. It is the only remaining tower out of five originally built. The big round defense tower served the militia for self-defense purposes. Like the entire fortification the tower had to be maintained and constantly repaired by the citizens. At its feet the old Jewish cemetery with its distinctive gravestones is situated. Only the exterior can be visited. The tower’s name is said to derive from the original residents of this area, the counts of Bentheim-Tecklenburg, who were responsible for the defense of the tower. The town house in Freckenhorst dates from the years 1548/49 and counts as remarkable due to its double cooking site and with regard to urban development. The stately building forms as only town house within a group of craftman’s houses the centre of the best preserved framework houses in Freckenhorst. At the same time it marks the starting point of an old historic arterial road, the road to Münster. In the nineties the house was restored and was refurbished as a meeting place for citizens. 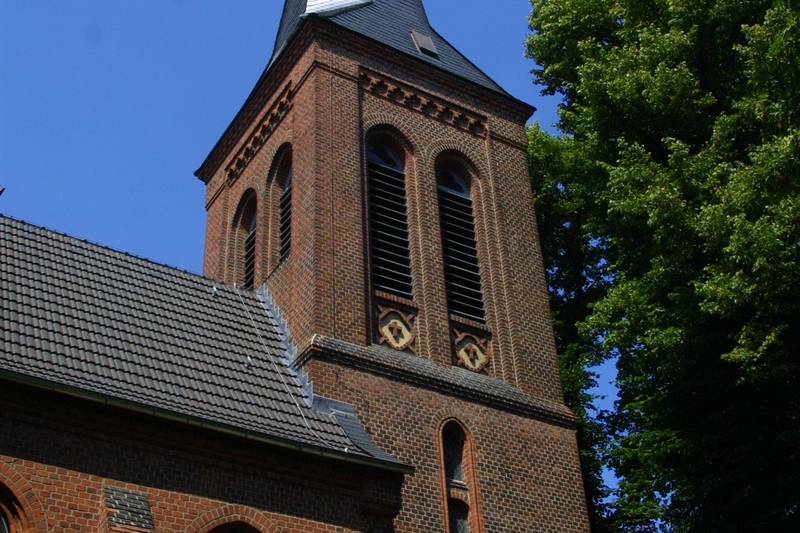 The evangelical church was built in 1898/99 and is a neo-gothic brick building with a wooden arche of the nave. The once small evangelical community on the outskirts of the town has grown, so that the church is situated now in the city area. Life in the diaspora is influenced today by a big ecumenical movement. The church can only be visited upon prior enquiry. 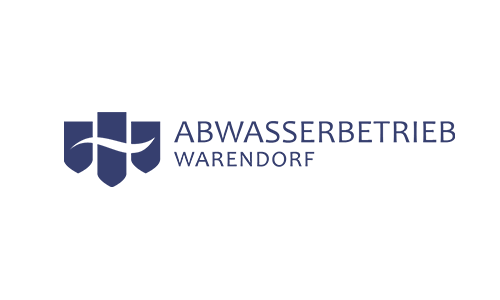 The German Equestrian Federation, shortened FN, is the federal association for equestrian sports and horse breeding in Germany. 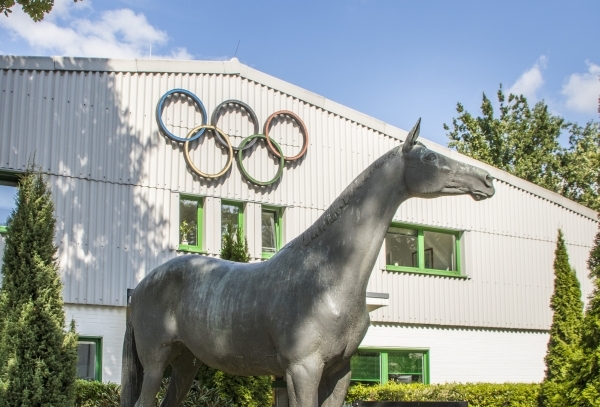 Responsible for the promotion of the top-class sport is the German Olympic Committee for Equestrian Sport (DOKR), which is affiliated with the FN, together with the German Federal Sports Center (BLZ). 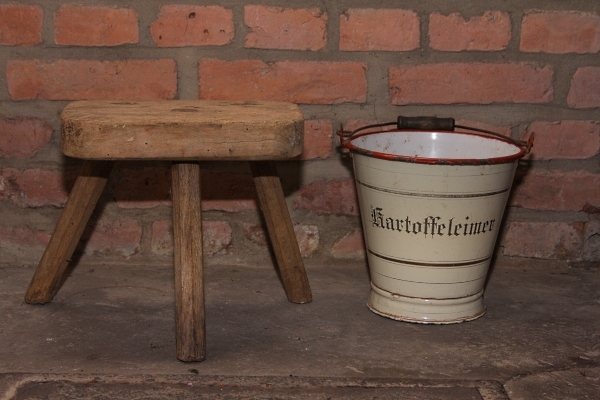 The decentralized town museum of Warendorf combines in total five museum objects in the historic old town. In addition to the historic town hall the following six historic buildings give an authentic idea of living and working in the town: the “Gadem”, Zuckertimpen 4, the community center of classicism, Klosterstraße 7, the villa “Haus Bispinck” at Münsterstraße and the the gate-clerk house at the Osttor. Visits are possible on Sundays and on holidays between 15.00 hrs and 17.00 hrs, except for Christmas, New Year and the town festival Feast of the Assumption. In 1974, the safety measures in case of flooding of the river Ems were terminated by the completing the lake Emssee. A part of the meadow next to the expanded course of the Ems was generated to a lake, which is embedded in a generous park. 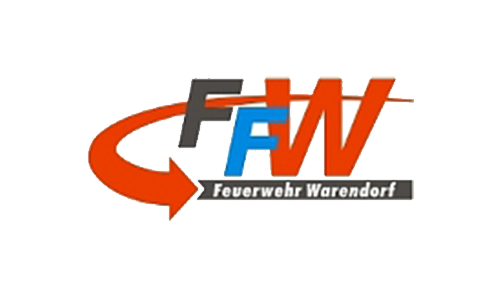 Where in the past wasteland, meadows and the bleach plants of Warendorf, which were formerly famous in Europe, were situated, today a 1.5 km long lake covers the land reaching from the overflow threshold of the Ems until Lohwall and encompassing the former course of the river. 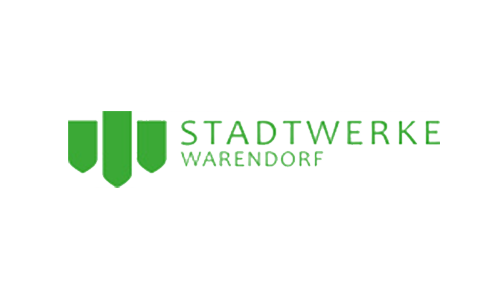 The park has developed to a popular local recreation area for the citizens of Warendorf. 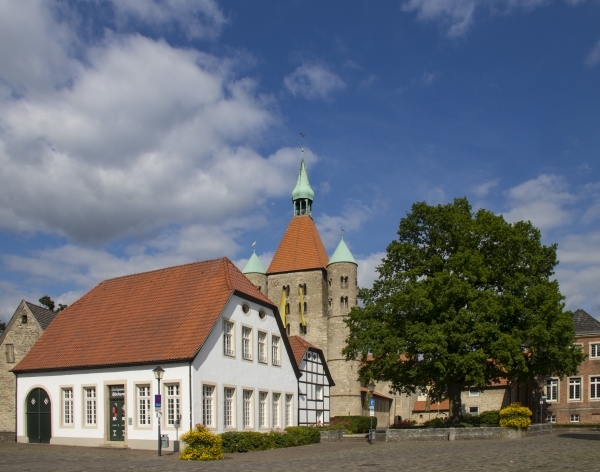 Franciscans came to Warendorf for the first time in 1628 to re-strengthen the catholic faith. After they had been accommodated at first close to the Münstertor, prince-bishop Christoph Bernhard von Galen laid the foundation for a church in 1652. With the support of prince bishop Ferdinand von Fürstenberg a few years later the monastery was built. Particularly worth to see is the baroque monastery portal. 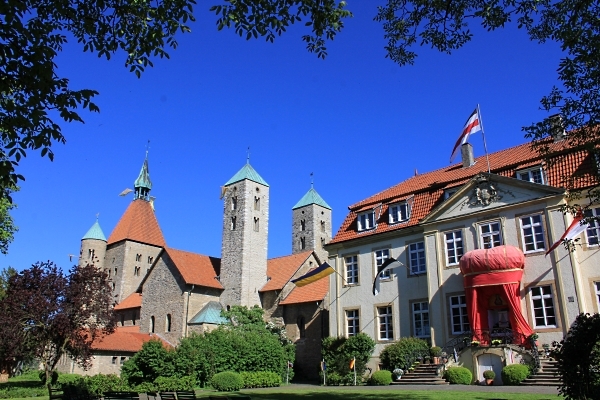 The monks have left Warendorf in 2008, but the monastery church remains in use. The baroque building built in 1740 was designed by the court architect Franz Christoph von Nagel for the abbess Clara Franziska von Westerholt-Lembeck and is located in close proximity to the Collegiate Church (Stiftskirche) in Freckenhorst. The family von Westerholt today still lives in the well maintained building and thus only the exterior can be visited. In summer, from time to time concerts in the castle park take place. 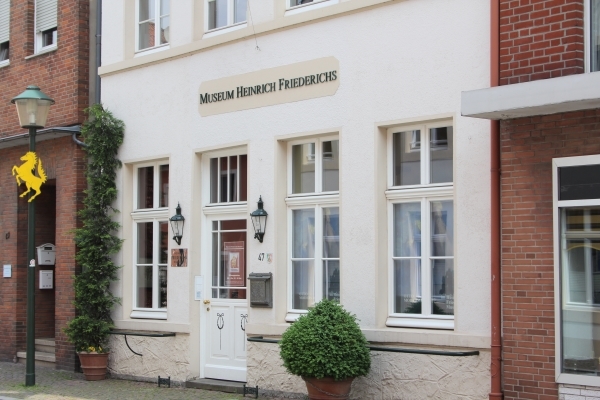 The museum "Heinrich Friederichs" is a monument in a manifold sense. In the landmarked rooms of the birth house of the sculptor you can visit his works. Although Heinrich Friederichs already died at the age of 32 in Latvia luckily his family has collected in a lovingly detailed manner his extensive work. Also the letters, which he wrote during the Second World War from the front line to his family, can be read. Together with his body of work they display in a moving way his feelings in these gruesome times. Like the rest of the “Gademe” in the town the two timbered buildings next to each other were inhabited by weavers. The house at Hohe Straße 24 is simple and almost without any embellishments. 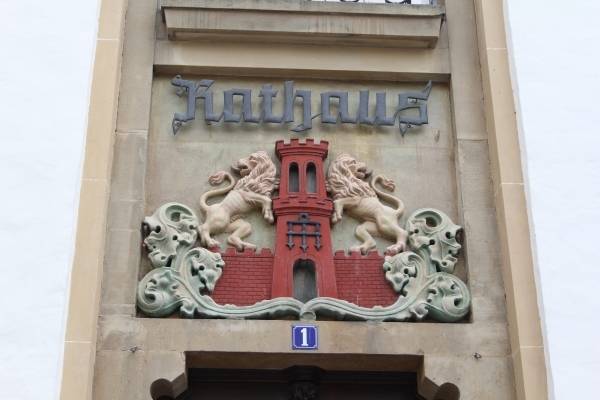 It is known as the birthplace of the writer Paul Schallück. The Heumarket is the former transshipment point for hay in Warendorf and was one of three specialized markets of the town (see also Krickmarkt and Schweinemarkt). 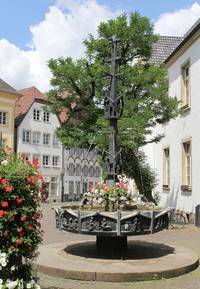 Especially worth seeing is the fountain “Gute-Montag-Brunnen” of the artist Bonifatius Stirnberg. Especially the kids like the rotatable pieces displaying a story. Journeyman bakers used to wash salad at the fountain joking and fooling around. 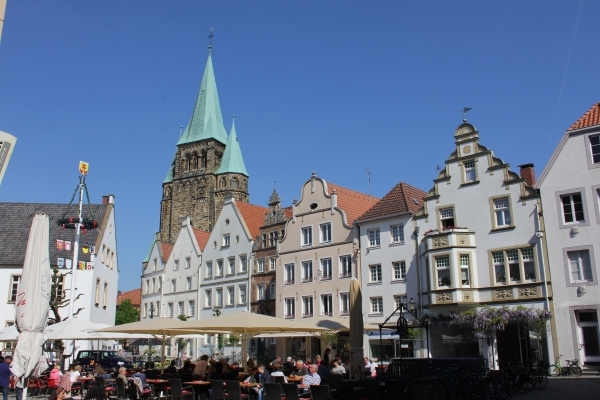 Many visitors come to Warendorf because of the horses and are surprised by the historically grown and well preserved city center. Whoever takes part in a walk through the city will discover some surprises. Scorpion fishes and cobbles will guide the way. Among the patchwork of buildings and places from different centuries and more than 600 landmarked objects one can find true gems. 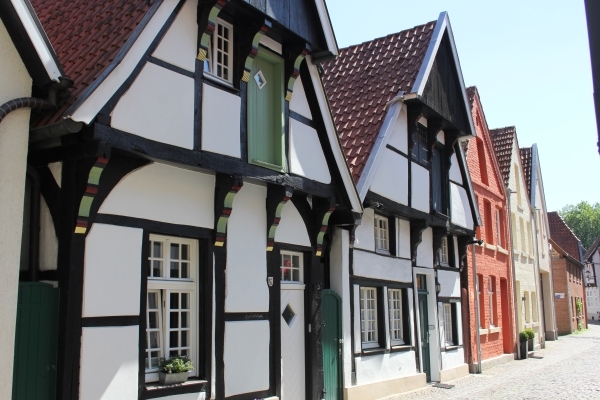 The closed ensemble of historic house façades forms a highlight of the sights of Warendorf despite or even due to the fact that buildings from six different centuries are found here. One can see buildings with stepped and blind gables next to the historic town hall. Colourful scorpion fishes and a magnificent stag on the façade display the wealth of the former Westphalian Hanseatic city Warendorf. Especially the beautiful pediments and the colourful scorpion fishes contribute to the unique atmosphere of the historic town hall. 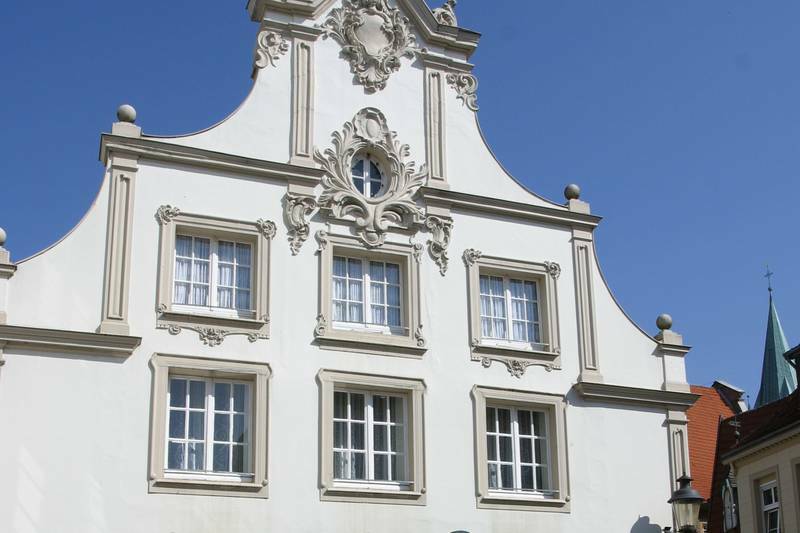 The gothic town hall of 1404 was only furnished with the neo-gothic risalit in 1970. 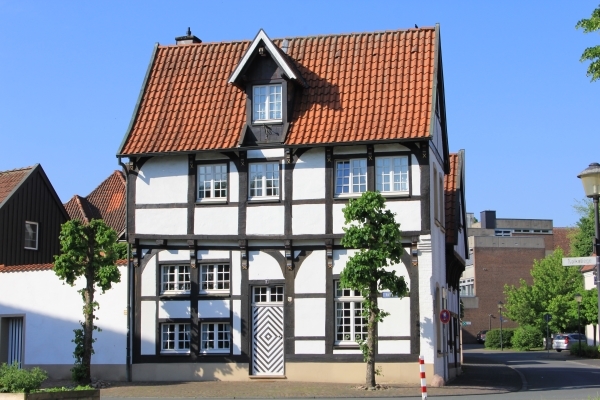 The building was built in 1404 right after the town fire and is used today after numerous reconstructions for the council meetings of the town council in the council hall, as office space for Warendorf Marketing GmbH and as wedding chamber. The historic town hall can be visited during the opening hours of the exhibition. 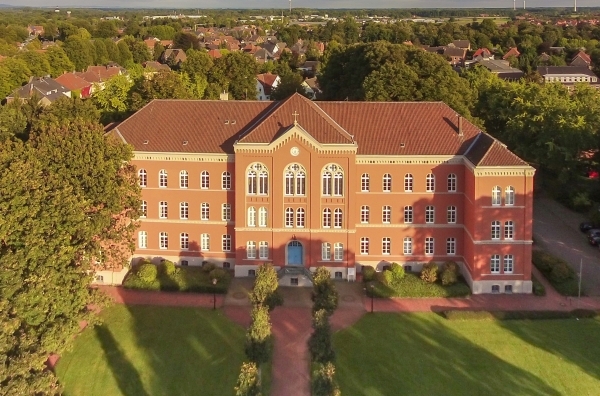 At the end of the 19th century the impressing brick stone building was finished and later used for the high school “Gymnasium Laurentianum”. The Royal Prussion teachers‘ college became famous as the setting for the novel “Engelbert Reinecke“ by Paul Schallück. 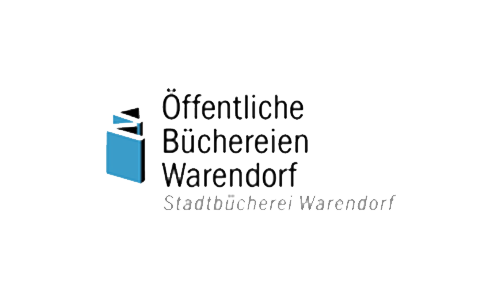 Today the adult education center and some departments of the municipality are located here. Part of the former Cistercian monastery built in 1250 is the monastery and pilgrimage church „Mariä Geburt“. 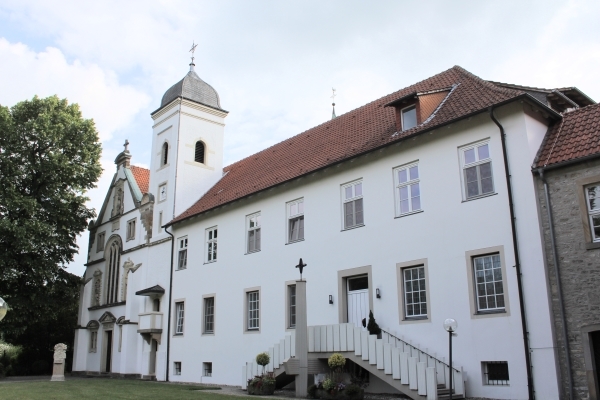 The old monastery building was reconstructed and is used today as conference and event venue. 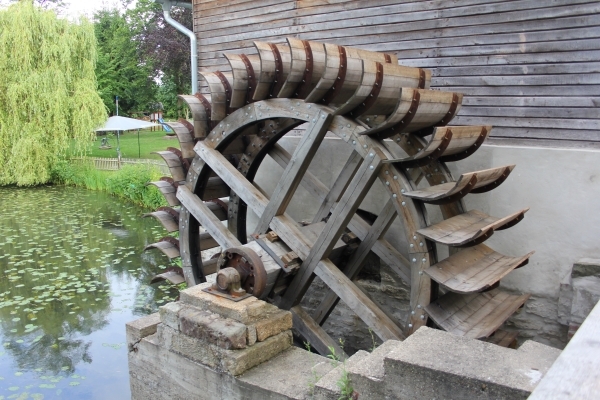 Worth visiting is also the historic monastery’s mill with its millpond in immediate vincinity. The "Krickmarkt" is the former horse market of the city. A „Krick“ is a less charming expression for an old horse. Other special markets were the swine market and the hay market. The fountain made out of bronze was donated by a grateful Warendorfer in 1983 and blends in discreetly into the Gesamtkunstwerk market place. It shows scenes from the life of the Virgin Mary and was built by the artist Bernhard Kleinhans from Sendenhorst. 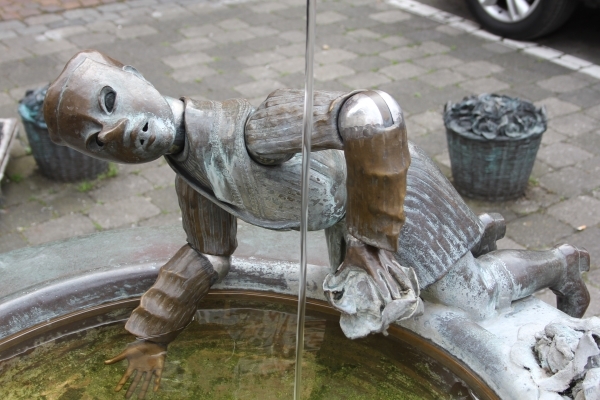 During the summer the fountain is embellished with flower arrangements and the burbling water exhilarates the children. 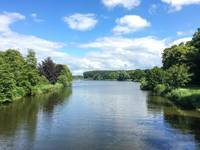 The former monastery’s mill is situated appealingly at the picturesque millpond and accommodates a garden restaurant, which many cyclists like to head to. 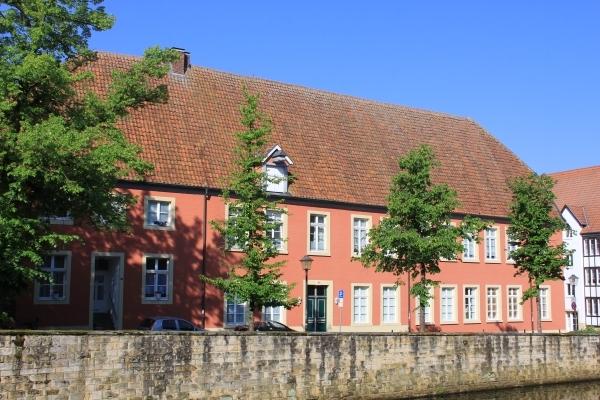 The “Mühlenhof” is situated at the former location of the prince-bishop office administration, which was later seat of the miller. A still visible mill at the Ems belongs to the manor. Only the exterior of the “Mühlenhof” can be visited. The „Münstertor“ is a gift of the Prussian king Friedrich Wilhelm III. 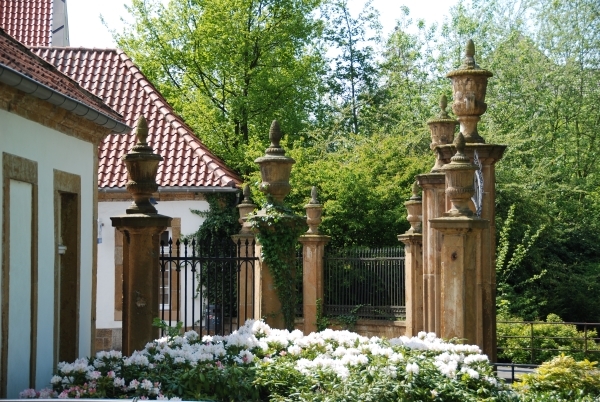 The gate is furnished with historic gate-clerk houses and baroque gate pillars of the Cistercian abbey Marienfeld. The North-Rhine Westphalian state stud was founded in 1826 by the Prussian king Friedrich Wilhelm III. Today, it is owned by the state North-Rhine Westphalia and is mainly used for the breeding of mare tested stallions. 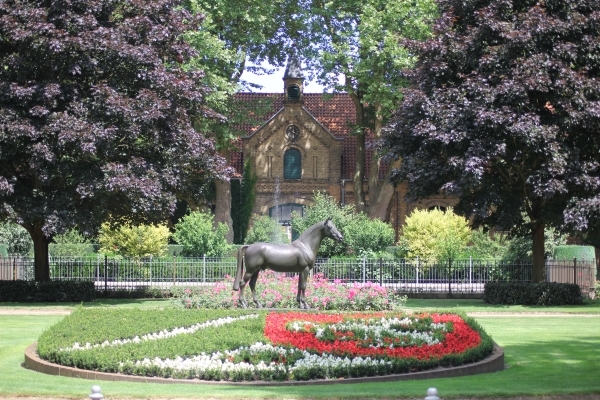 Regular attractions are the Warendorfer stallion parades at the end of September and the beginning of October. In the middle of Milte stands the parish church St. John the Baptist, a single-nave hall church with a late gothic crow-stepped gable. The exceptional interior decoration in the Prussian classicist style and the cross of the Nazarene Wilhelm Achtermann are very worth a visit. 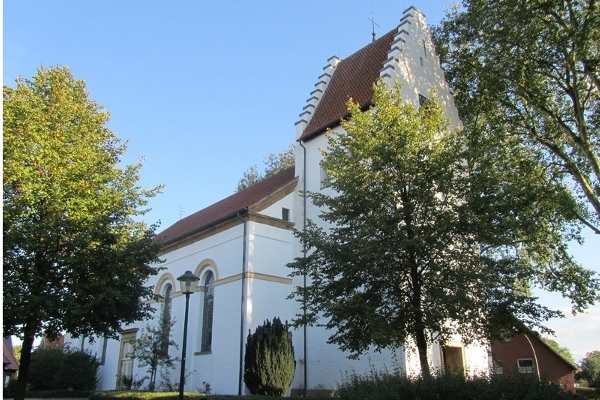 The first church or chapel in Milte was probably already built at the beginning of the 13th century. The parish church St. Lambertus constitutes the center of the parish Milte. 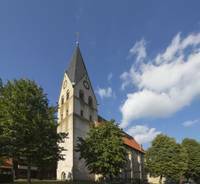 The church was built in the 16th century in a late-gothic style on the foundation walls of the manor house of the count of Westphalia. The oldest part dates back to the early 13th century. The approximately 450-years-old stone altar is worth a visit. 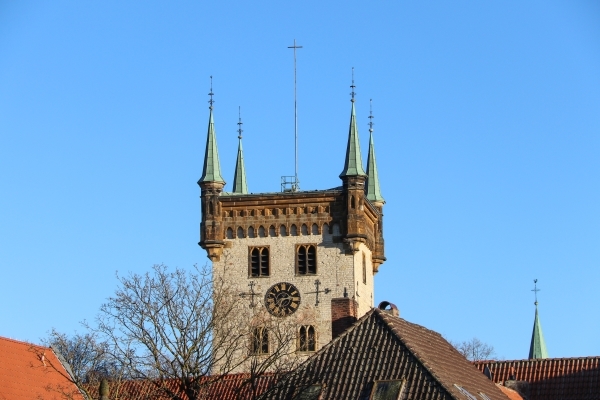 Well beyond the gates of Warendorf the impressive tower of St. Laurentius can be spotted. A special feature of the Westphalian hall church built between 1404 and 1471 is the mighty west wing in a new-gothic form developed in the era of Wilhelmian historism. The interior of the church is furnished with prominent works of art. 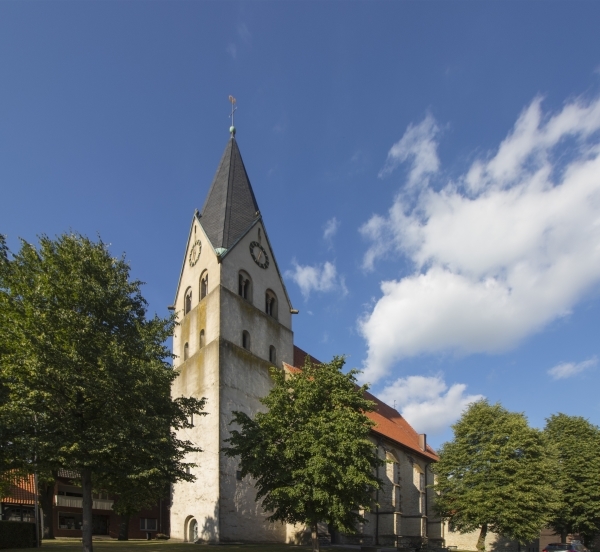 The parish church St. Marien is the neo-roman succession building of the church Marienkirche. The pieta from the early 15th century is worth a visit. Next to the church one can marvel today at the medieval bell tower of the preceding building. The parish church constitutes the center of the parish Einen. It was early separated from the parish St. Laurentius in Warendorf; a parish priest in Einen is mentioned for the first time in the chronicles in 1216. The present - day building originates from the founding time of the parish church, but was reconstructed in the 16th century. Especially the stone altarpiece with figurative scenes of the passion of Christ (around the year 1500) is worth a visit. The pig market is a place of special architectural charm and is at the same time one of three former municipal special markets (see also hay market and "Krickmarkt"). Back in the days pigs, meat and sausages were sold. As a reminder a small granite stele was built. The big pump and the corner house at the Petersiliengasse, which impresses by its original form, are worth a visit. The pig market became more famous by the radio station Radio WAF. The studio is located in a very appealing gabled house. 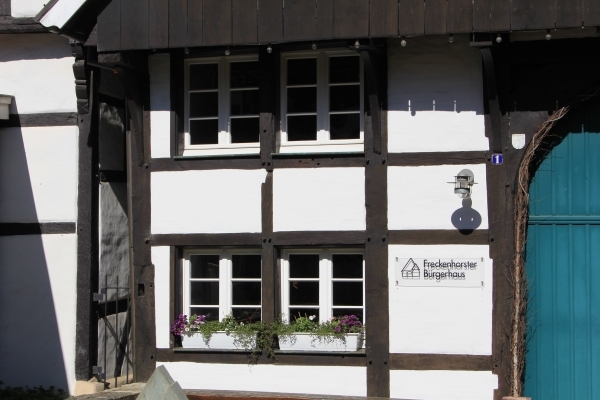 Especially during the summer the pig market invites to stay in the middle of the idyllic old town of Warendorf. 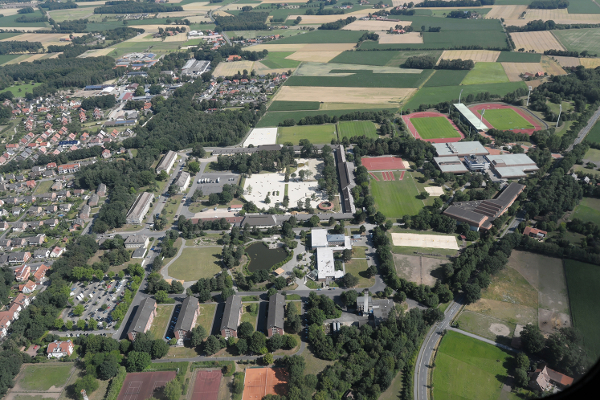 The school for sports of the German Federal Armed Forces is the central training facility for sports in the German Federal Armed Forces. Among its tasks are education and training of sport directors and training of drafted top athletes. The barracks consist partly of old timbered houses. 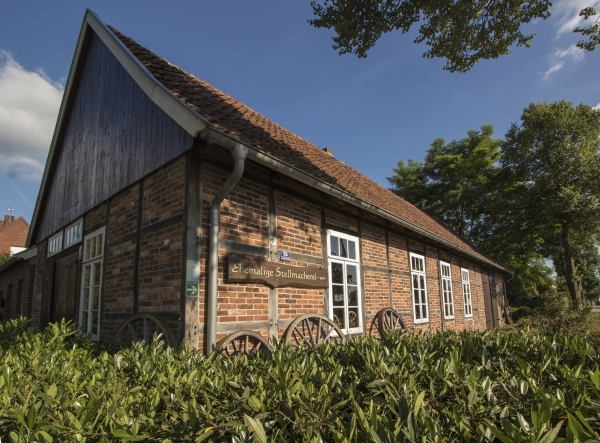 The wheelwright’s workshop in Hoetmar was in operation for two generations until approximately 1955. Until 1945 the storage room was temporarily used as a forge, in which horses were shoed. The decoration of the workshop, which can still be seen today, with its machines and outer gates as well as the drive engineering by transmission wheels, which were powered by an electric motor, originates from the years around 1930 and is proof for the working environment in the woodworking industry. It is noteworthy that this wheelwright’s workshop with almost its entire equipment has been maintained until today. Visits are possible upon prior enquiry. 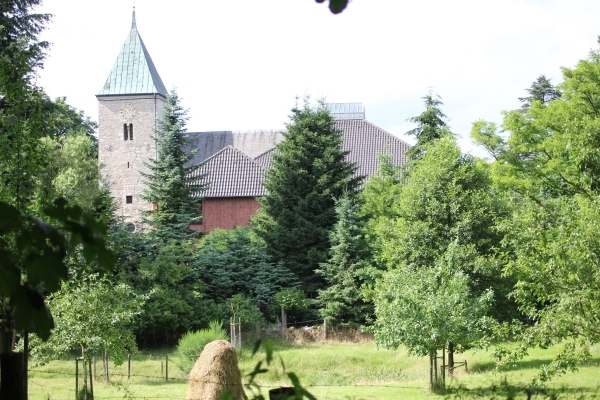 The collegiate church St. Bonifatius is also called farmer’s cathedral by locals. 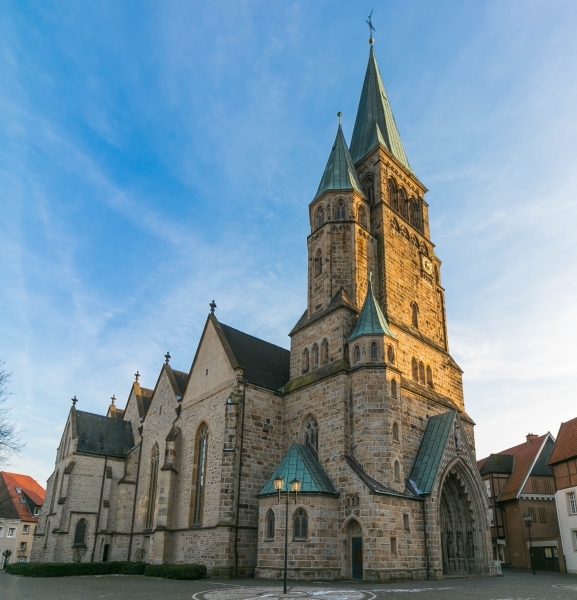 The church building with five towers counts as one of the most renowned roman sacral building of Westphalia, the baptismal font as one of the best-preserved in Germany. The inscription on the gravestone of Geva is the oldest known proof of the Low-German language. 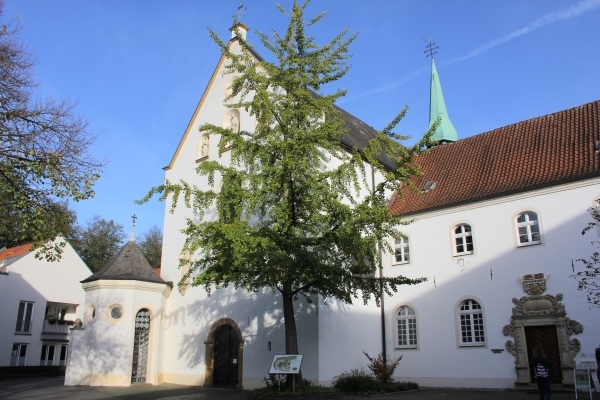 The cathedral chapter in the Petri chapel, in which liturgical items, books, unique manuscripts, special relics, chasubles and the famous “Freckenhorster Hungertuch” from 1628 are exhibited, is also worth a visit. 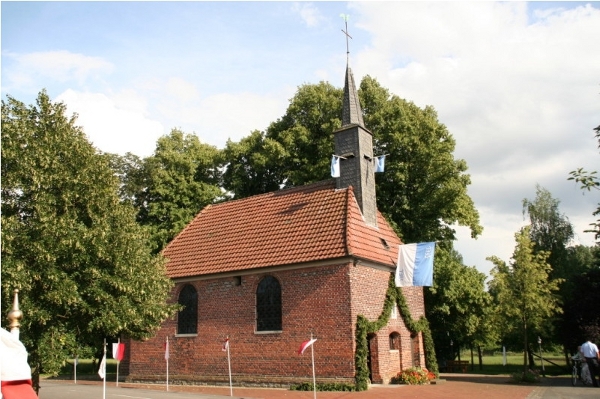 The chapel "Buddenbaum" is a simple brickstone building, whose coat of arms contains the year 1735. Already before 1550 a lady chapel of the monastery Freckenhorst was registered in the village of Hoetmar called Buddenbaum. A pieta, which originates from the time around of 1440, allows for an even earlier assessment of the age of a chapel at this place. It belongs to a large group of stone sculptures from the first half of the 15th century and was created in a Westphalian sculptor’s workshop out of Baumberger sandstone.